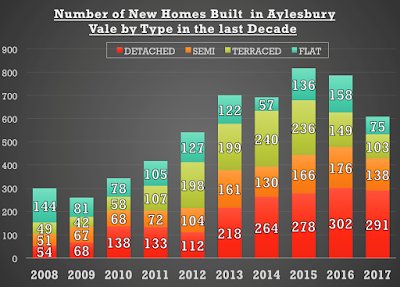 Over the last twenty years, there has been a shift in the way the Aylesbury (and the UK’s) property market works. In the 1960’s, 70’s, 80’s and 90’s, a large majority of twenty somethings saved up their 5% deposit, went without life’s luxuries of going out and holidays etc., for a couple of years and then bought their first home with their hard earned savings. By 2000, 54.7% of Aylesbury 25 to 29 years owned their own home (compared to 46% Nationally) and 76.4% of Aylesbury 30 to 34 year olds in 2000 owned their own home (again compared to 64.2% nationally) whilst the remaining youngsters mostly rented from the Council and in some rare cases, privately rented. 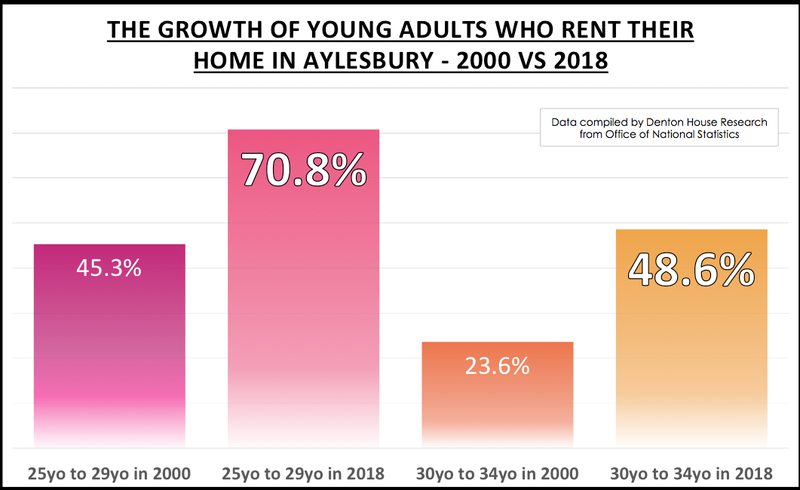 Now it’s 2018, and those levels of homeownership have slipped dramatically and now only 29.2% of Aylesbury 25 to 29 year olds own their own home and 51.4% of Aylesbury 30 to 34 year olds own their own home (interestingly mirroring the National picture of 24.5% for the younger age cohort and 64.2% for the older 30 to 34 year cohort). It’s just in this post Credit Crunch, Brexit environment, the use of higher interest rates wouldn’t directly affect landlords (as around two thirds of buy to let properties are bought without a mortgage). Therefore, an increase in interest rates would have hardly any effect on landlords and hit the first time buyers - the people the Government would be trying to help! So, what does this all mean for the 2,682 Aylesbury landlords? The days of making money in Aylesbury buy to let with your eyes closed are long gone. There are going to be testing times for Aylesbury landlords, yet there is still a defined opportunity for those Aylesbury landlords who are willing to do their homework and take guidance from specialists and experts. It’s all about looking at your Aylesbury portfolio (or getting a property professional to do so) and ascertaining if your current portfolio, mortgage and gearing are designed to hit what you want from the investment (because that is what it is – an investment) in terms of income now and income in the future, capital growth and when you plan to dispose of your assets. I have seen many Aylesbury landlords (both who use me and my competitors) to manage their rental property or find them tenants – and on many occasions recently, I have told them to SELL – yes sell some of their portfolio to either reduce mortgage debt or buy other types of property that match what they want in the short and long-term from their investments. I know that sounds strange – but my role isn’t just to collect the rent .. it’s also to give strategic advice and opinion on the landlord’s portfolio to help them meet their current and future investment goals. 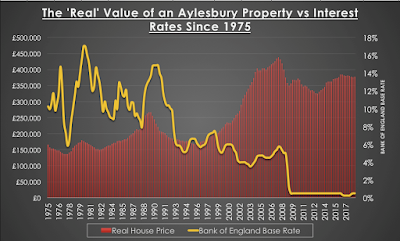 What Will Happen to Aylesbury Property Values if Interest Rates Rise? The current average value of a property in Aylesbury currently stands at £376,200 and the base rate at 0.5%. In many of my articles, I talk about what is happening to property values over the short term (i.e. the last 12 months or the last 5 years), but to answer this question we need to go back over 40 years, to 1975. Back in 1975, the average salary was £2,291 and average car was £1,840. A loaf of bread was 16p, milk was 28p a pint and a 2lb bag of sugar was 30p. Inflation has increased prices, so comparing like for like, we need to change these prices into today’s money. In real spending power terms, an average value of an Aylesbury house in 1975, expressed in terms of today’s prices is £165,299. 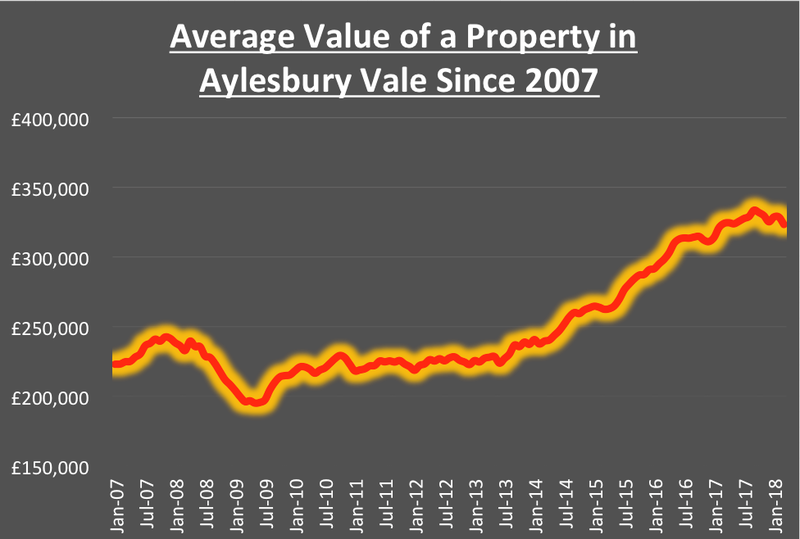 Before we move on, hold onto the thought that you can quite clearly see from the table, in real terms, properties are cheaper today in Aylesbury than they were in 2007! Another important factor on property values is the supply of housing. A big reason in the current level of Aylesbury house prices is due to the shortage of supply, which has kept property values higher than I would have expected. An additional factor is whether homeowners have a variable or fixed rate mortgage. 90.6% of new mortgages taken in the last Quarter were at a fixed rate, and 66.2% of all mortgaged homeowners are on fixed-rate mortgages, therefore, they will not notice the effects of higher interest rate payments until they re-mortgage in a few year’s time, meaning there is frequently a time-lag between higher interest rates and the effect on property values. Another factor on mortgages is the ability to get one in the first place. Back in 2014, mortgage providers were told to be stricter on their lending criteria when arranging mortgages following the footloose days of 125% loan to value mortgages with the Northern Rock. These new rules are a lot more rigorous on borrowers' ability to repay the payments. In conclusion, interest rates are important – but nowhere near as important on the Aylesbury (and British) property market than they were 15 or 20 years ago. So, before I go, one final thought - how do we measure the success of the Aylesbury property market? Well I believe one measure that is a good bellwether is the number of property transactions, as that could show a more truthful picture of the health of the property market than property values. Maybe I should talk about that in an up and coming article? That is a lot of bricks and mortar! Roll the clock back twenty years in the Aylesbury property market, and there were two distinct camps of property buyers - folks who would only contemplate living in period character properties with their original fireplaces and beams, and those people who preferred the low maintenance of a new home. Old period homes were ridiculed as money pits by new-home aficionados, while new-home owners were accused of buying boring boxes, all vanilla, all the same, homogenous and bland. However, it’s not as black and white as that anymore – or not as I see it in Aylesbury. New homebuilders are now trying to change their cookie-cutter uniform rows of suburban boxes into developments that are as individual as the families that live in them, thus increasing their appeal. Nonetheless, whether you choose a stone cottage, archetypal Victorian semi or terrace, 1970’s/80’s functional home or a untouched new home, whatever home you buy, it can result in supplementary costs that are often not taken into math’s when buying by potential homeowners or buy to let landlords. So looking at the numbers in greater detail, let’s see what type of new homes people have been buying in Aylesbury and the wider local authority area .. I thought the mix of what was built/bought locally over the last 10 years when compared to the national figures was fascinating … it’s interesting (but not surprising) to see a greater proportion of detached houses built locally and fewer flats being built, when compared to the national averages. 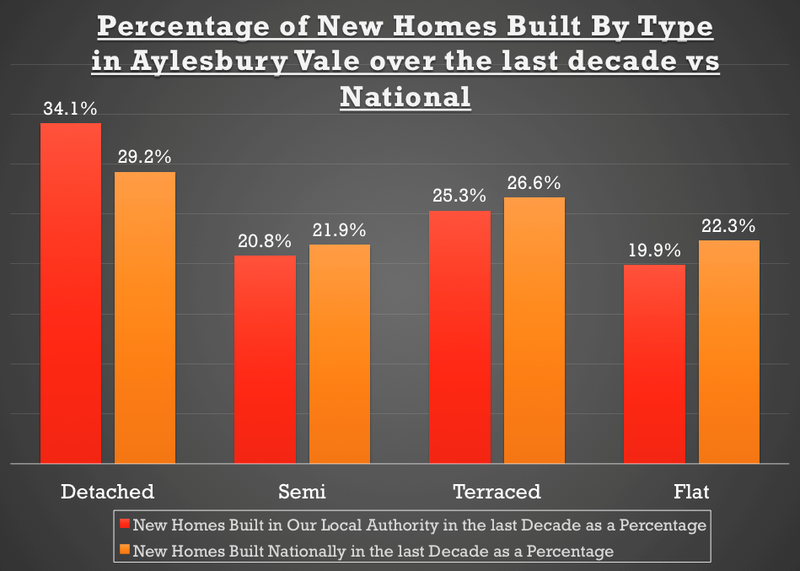 This is because of the nature of the Aylesbury area, its position in the country, the availability of building land, planning restrictions by Aylesbury Vale District Council and the price of building land. Well if you are considering new, take care when buying one, as often the show home isn’t the actual property you end up buying. It’s like visiting the car showroom and falling in love with the model in the showroom (which is spec’d up to an inch of its life) – only to get the base model when handed the keys. Look out for things like curtain rails, tv aerials (or lack of them), kitchen appliances, carpets and curtains … and outside – make sure you aren’t unwittingly buying a square piece of earth instead of the manicured landscaped gardens. New homes are a lot more efficient on energy consumption compared to the old drafty, high fuel bill Victorian semis, as their owners can testify. Older properties will have maintenance issues, with 100yo brickwork and roofs that might need replacement and extra insulation, rotten wooden windows and a dodgy central heating boiler (all sounding rather a strain on your bank balance if you weren’t aware). The point I am trying to get across is open your eyes and don’t assume .. ask questions and get a surveyor to make a detailed inspection of the property so you know what you are getting yourself into. Next, I also wanted to break down the new home stats to each individual year in our local area to see if there was a pattern to when people bought a new home. As you can see, there was a drop in new homes selling in the Credit Crunch years (2008 to 2010) and since then; the general trend has been better! Looking at the much larger second hand housing market in Aylesbury over the same 10 years, the correlation between the new homes market and second market has been quite strong – which shows the new home builders don’t make (or break) the Aylesbury housing market – just follow it (although with the planned building locally in the next 10/20 years – who knows if that will continue to be the case?). So, should you buy brand-new or second hand? If price is your sole motivator, then new homes are always CHEAPER when the economy is bad. However, in normal and good housing market conditions, you will pay a ‘new build premium’. The Royal Institute of Chartered Surveyors admits that this can be as high as 10% extra, when compared to a similar second hand property – so be aware of that (it’s like paying extra for a new car and losing a bit (or a lot) of money as soon as you drive off the forecourt). Although, it’s not always about pure pound notes. The choice as they say … is yours! My analysis has shown that up to the end of the last quarter, Aylesbury first time buyers purchased 576 Aylesbury properties. With wages rising at 2.8%, unemployment at a low rate of 4.2% (down from 4.6% from a year earlier and the joint lowest since 1975), national GDP rising at 1.87% and inflation at 2.3%, tied in with indifferent house price growth (compared to a few years ago), this has given first time buyers a chance to get a foot hold on the Aylesbury property market. Over the last year, the average purchase price of an Aylesbury first time buyer property has been £220,400 and the average deposit was £35,705. Furthermore, my calculations show the average Aylesbury parents contributed £15,621 of that £35,705 figure. You see “The Bank of Mum and Dad (Aylesbury Branch)” is for countless Aylesbury twenty something’s, perceived to be the only way they will ever be able to afford their first home. In fact, Aylesbury parents put up a substantial £8.99m in the last 12 months to help their children get onto the property ladder. 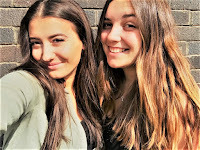 This assistance towards the deposit makes a huge difference, enabling Aylesbury youngsters who thought they couldn’t get on the housing ladder more able to do so. With mortgage rates at all-time lows, few Aylesbury twenty something’s would struggle to make mortgage repayments, but it is the requirement of the deposit which is the issue, although as parents (and grandparents) are helping out where they can, it does little to address the real problems of the housing market, whether for people renting or buying their first home. a sign of the issues of the British housing shortage, not its solution. But before I leave this article … note I used the word PERCEIVED in a previous paragraph. Yes, the average first time buyer deposit is 16.1%, but that is an average. Did you know 95% mortgages returned to first time buyers in late 2009 and have been available ever since? Also, lenders like Barclays and many local Building Society’s now offer 100% mortgages (i.e. no deposit) at 2.75% fixed for three years. Over the last decade, many renters have upgraded themselves into homes that they (or any generation before them) could never have ever afforded as a first time buyer in the past. You see the British housing market started to change with the dawn of the new Millennium and we are seeing a slow but steady attitude change when it comes to renting. Those tenants have found the price difference of upgrading from the typical 1970’s TV show Rigsby “Rising Damp” style rental property to plush terraced house or even semi-detached home, with all the mod cons, comparatively inexpensive (when compared to the increase in mortgage payments if they had to make the move as buyers). Renting isn’t seen as the poor man’s choice, as many young (and increasing older) people are becoming more at ease and comfortable with the flexibility offered by privately renting a property rather than jumping ‘lemming like’ into home ownership. Aylesbury landlords will continue to see growth in sector, and like Germany, todays renters will become homeowners in 20 years’ time – when they will inherit the wealth of their parent’s home. Welcome to The Cosy Corner!! In these short articles we will be touching on some of our favourite trends, ideas and solutions for all things home related along with tips and tricks for landlords, tenants and anyone looking for inspiration around the home. With summer fast approaching we felt it was only right to begin with our top 5 ideas for getting your home bang on trend and summer ready! 1) First things first, get rid of the heavy rugs, heaters and thick blankets. Say goodbye to all things heat retaining and hello to light and breezy. This will instantly give your home a summer lift. "hello to light and breezy"
2) Replace candles with fresh flowers or green house plants to bring a touch of the outdoors and a splash of colour into your home as well as a fresh scent. 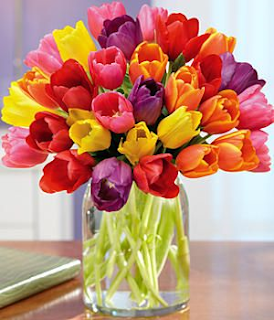 Flowers are not only known for their beauty but also for their health benefits. Having fresh flowers in the house is proven to increase creativity and boost your mood. Try adding some flowers into the rooms you spend the most time in to really make the most of those positive vibes. "Flowers are not only known for their beauty but also for their health benefits"
3) We love an excuse for getting our painting pants on! Summer is the ideal time to take on redecoration projects as the sun and summer heat will dry your home in no time. A fresh coat of paint is a brilliant way of giving your home a bright and summery feel. However, trying to decide on a colour is always the hardest part, right? 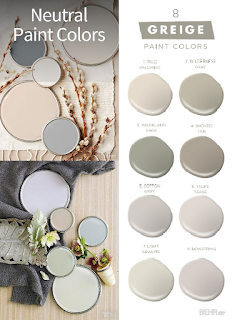 Cool, neutral and muted colours are very popular this year, especially the blues, greys and whites. These colours are very classy and easy to accessorise so are perfect for any room. Many people pair these colours with hardwood or wood effect flooring to give the impression of a bright open space. 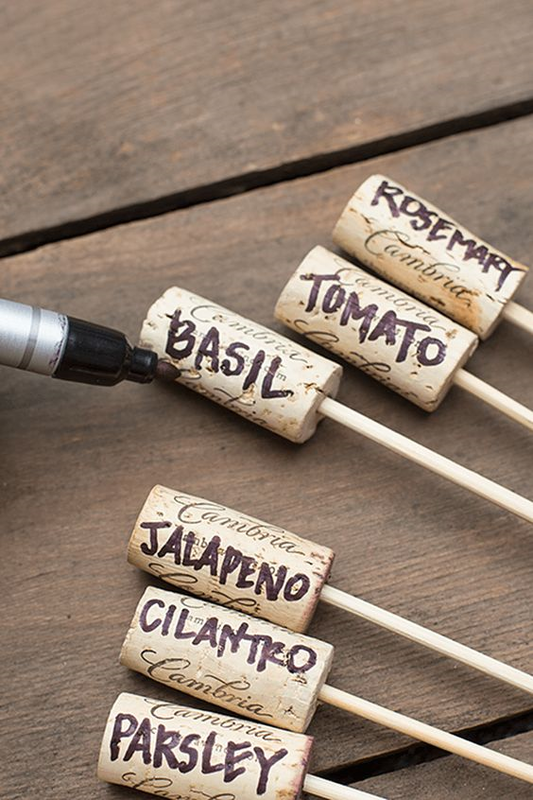 A tidy garden is an essential for all things summer. 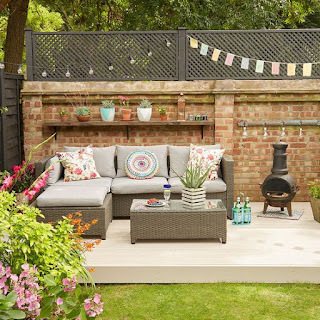 4) A tidy garden is an essential for all things summer. Dust off the BBQ and get your gardening gloves at the ready. Having a clean and colourful garden is the perfect setting for a family gathering in the sun. 2018 is looking to be the year of ‘grow your own’. People are taking on the challenge of growing their own fruit and vegetables. 5) We are also seeing many people embracing the indoor plant. Aloe Vera, Cactus, and spider plants are only a few of the most popular for 2018. 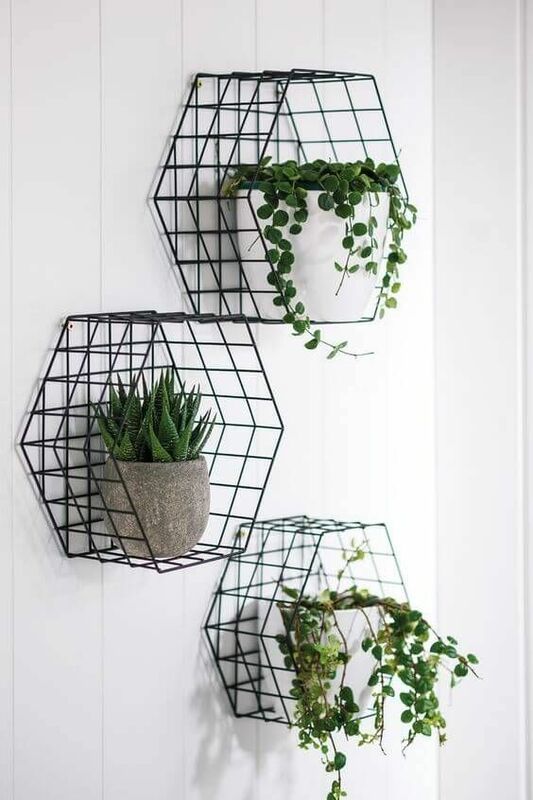 Along with bringing colour and style into your home, these are also brilliant for purifying the air, reducing moisture in the air and some are known for helping to relieve stress! 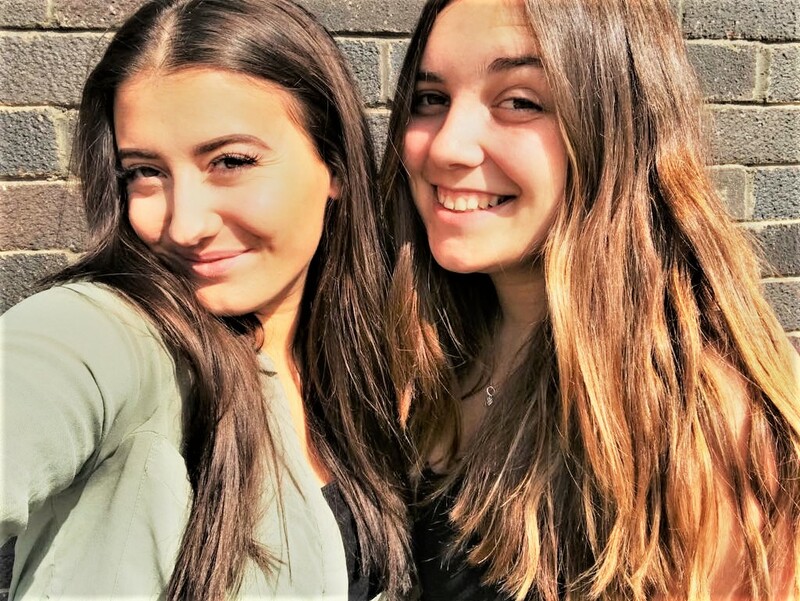 So, there you have some of our favourite tips and trends for summer 2018! We hope this has given you some inspiration for your home. If you have any questions about anything home related, drop us an email at Jennifer@mortimersaylesbury.co.uk or Devon@mortimersaylesbury.co.uk and we will include it in our next article! Will the Aylesbury Property Market Crash? And if it does ... who will be the winners and losers? The Aylesbury people likely wanting property values to drop would be those 30 or 40 something’s, sitting on a sizeable amount of equity and hoping to trade up (because the percentage drop of your current ‘cheaper’ property will be much less than the same percentage drop of the more expensive property – and trading up is all about the difference). If you have children planning to buy their first home or you are a 20 something wanting to buy your first home – you might want them to drop. Also, landlords looking to add to their portfolio will want to bag a bargain (or two) and they would love a drop! Yet, if you have recently bought an Aylesbury property with a gigantic mortgage, you’ll want Aylesbury property values to rise. If you are retired and are preparing to downsize, you will also want Aylesbury property values to rise (because you will have more cash left over after the move). 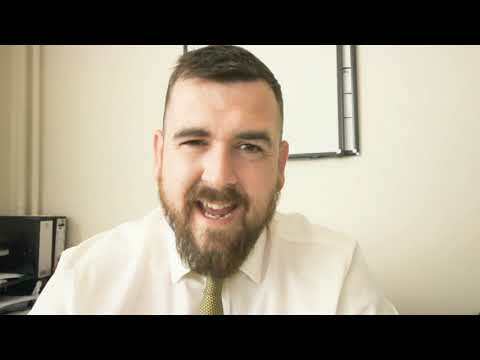 Also, if you are a landlord looking to sell your portfolio or an Aylesbury home owner, who has remortgaged to raise money for other projects (meaning you have very little equity), you will want Aylesbury property values to rise to enable you to put a bigger deposit down on the next purchase. ...taking an average property from £240,820 in September 2007 to £209,977 by September 2009 … and since then – property values have over the medium-term risen (as can be seen on the graph). So ... what is happening now? The simple fact is people in the UK are moving less (and hence buying and selling less). Estate agents up and down the land are blaming “Brexit” for this but the reality is that the problems in the British housing market are a lot greater than Brexit! There is a direct link between how people feel about the property market (sentiment) and the actual performance of the property market. However, the question of whether people’s sentiment moves as a result of changes in the property market, or whether changes in the property market drive sentiment is a question that baffles most economists – you see if someone feels assured about their financial situation (job, money etc.) and the future of property, they are more likely to feel assured to spend their hard-earned earnings on property and buy and if you think about it … vice versa. So, I believe Brexit isn’t the issue - it’s just the “go to” excuse people are using. Humans don’t like uncertainty, and Brexit itself is causing uncertainty – it is, after all, the great unknown. So, is it the flux of global politics? Politics are causing hesitation in the posh £5m+ markets of Mayfair and other high value Monopoly board pieces – but certainly not so much in Aylesbury (I don’t think Aylesbury is too high up on the house buying list of all these Saudi Prince’s and Russian Oligarchs) ... no the issues are much closer to home. So, coming back to reality, one the biggest driving factors in the current state of play in housing market has been the part Buy To let landlords have played in the last 15 years. Making money as buy to let landlord in these golden years was as easy as falling off a log – but not anymore! Landlords had been getting off quite lightly when it came to their tax position, but with Mr Osborne changing the taxation rules on buy to let ... things have become a little more difficult for landlords. Landlords have been hit with a supplementary rate of stamp duty, meaning they pay 3% more stamp duty than first time buyers. High rate taxpayers in the past have been able to offset the interest payments from their buy to let mortgages against their self-assessment tax bills – at their marginal rate. Between now and 2020 ... this is being reduced in small steps, so they will only be able to claim back relief at the basic rate of tax. The bottom line is that it will be much tougher for investors to make money on buy to let. Tied in with this, the mortgage rules were changed a few years ago, meaning it’s also become slightly tougher to obtain buy to let mortgages (although if I’m being honest – they needed to). ...and what of Aylesbury first time buyers? Well, a few weeks ago in my blog on the Aylesbury Property Market, if you recall, I mentioned that last year was the best year for over decade for first time buyers. For the last 30 years, buy to let investors have constantly had more purchasing power than first time buyers, as they were older and more established, together with their tax breaks. Yet, now as many amateur landlords are having second thoughts in staying in buy to let, this has potentially given first time buyers a chance to get on to the property ladder. What will happen to Aylesbury property values? The simple fact is we don’t have the conditions that caused the crash in 2007 (i.e. sub-prime lending in the US, causing banks not to lend to each other, thus stalling the global economy as a whole). Assuming everyone is sensible on the Brexit negotiations, the biggest issue is interest rates. As long as interest rates remain comparatively low (and don’t get me wrong – I think we could stand Bank of England base interest rates at 1.5% to 2.5% and still be OK, then the thought of a massive property market crash still looks improbable. Yet correspondingly, I cannot see Aylesbury property values rising quickly either. Balance of probabilities ... Aylesbury property values will hover either side of inflation over the next five years, but if we did have another crash, what exactly would that mean to Aylesbury homeowners - if they dropped by the same percentage amount, as they did in the last crash? If Aylesbury property prices dropped today by the same percentage as they did locally in the Global Financial Crisis back in 2007/9 … we would only be returning to the property values being achieved in August 2015 … and nobody was complaining about those! Therefore, looking at the number of people who have bought homes in the area since August 2015, that would affect approximately only 17% of local home owners and landlords ... and only a small percentage would actually lose - because you only lose money if they decide to sell (and come to think of it, some of those sellers would fall into the category mentioned above that would relish a price drop!). So, really not many people would lose out.